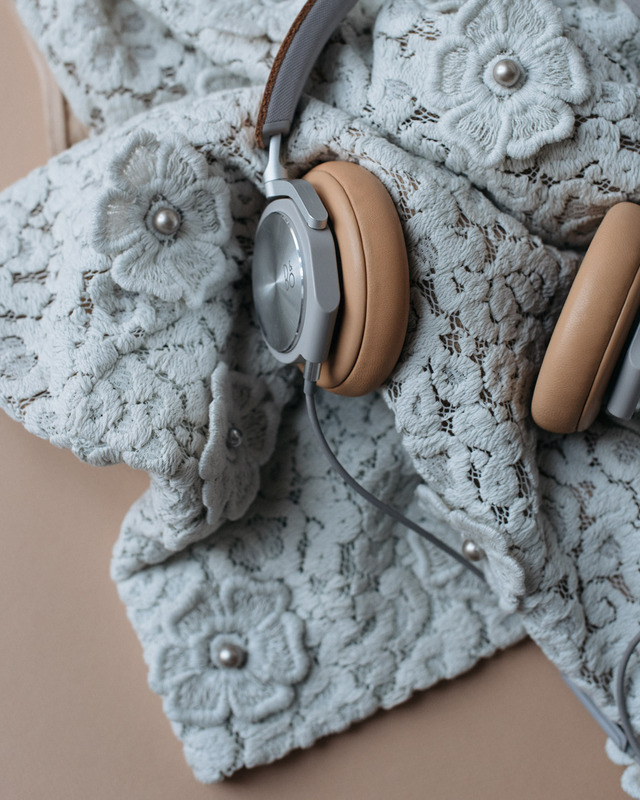 Headphones by B&O Play, lace top with pearl detailing by Chloé. I saw Mikko Joensuu and his band in August at Flow Festival in Helsinki. They played the whole Amen 2 record already then, although it was not released until three weeks ago, on November 12th. Best concert of the year. I could not speak or move, I just stood there watching and hoped it would never end. I loved how well prepared and confident the whole group was. It looked liked they loved playing more than life itself, which is probably true, because done like this, it is life itself. Today, I am listening the album with my headphones as I write, and the magic has not dissolved. Amen 2 is the second part of Joensuu’s Amen trilogy that deals with religion, or more precisely, giving up on it. The first part was released in the spring and the final third part will be out next spring. After the country sounds of Amen 1, the second album has more color and drama. The songs are long and they take their time evolving, growing, to the point you do not know what is going to happen. The melodies are catchy but, at times, buried under and ruled over by noise – fantastic noise. Resounding guitars, drums, strings, flutes, synthesizer sounds and chorus singers along with Joensuu’s own voice, create a rich sound landscape that brings to mind Americana vibes here and 80’s pop sounds there, but at the same time, introduces something completely new. Amen 2 is available on Apple Music and Spotify. Turn the volume up and enjoy.